The Bear Care Group www.bearcaregroup.org is excited to announce a partnership with the Animals Asia Foundation www.animalsasia.org to organize Advancing Bear Care 2013 in Vietnam in association with the Moon Bear Rescue Centre in Tam Dao! Among other topics, bear caregivers from Asia and around the world will learn how to make complex vital living environments out of old stagnant enclosures, how to work with their bears’ biological needs, how to perform basic veterinary care, and how to develop nurturing relationships with their bears. We need your support to bring world class bear care experts to Asia to teach better bear care skills and to change the lives of bears. Important UpDate : The Animals Asia Vietnam Bear Rescue Centre has recently received an eviction notice from the Ministry of Defense which would see 104 bears that have been rescued from the bile industry relocated. 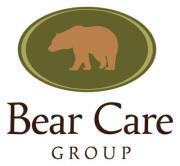 If this eviction is successful the Advancing Bear Care 2013 conference will be relocated to another venue. The Bear Care Group Facebook fundraiser will continue as planned but all of the monies raised will be donated to Animals Asia for the relocation of the bears.